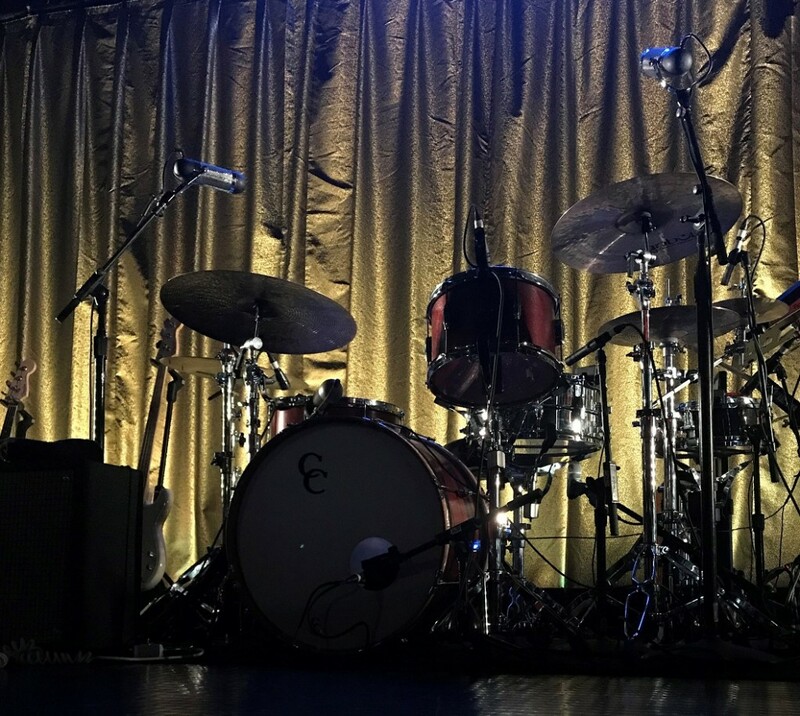 We love working with artistic, imaginative tour designers by helping them build a distinctive and appealing stage for their band or artist to really shine in front of. Providing grand, “larger-than-life” theatrical stage drapes for these tours is always an exhilarating way to excite their audiences. 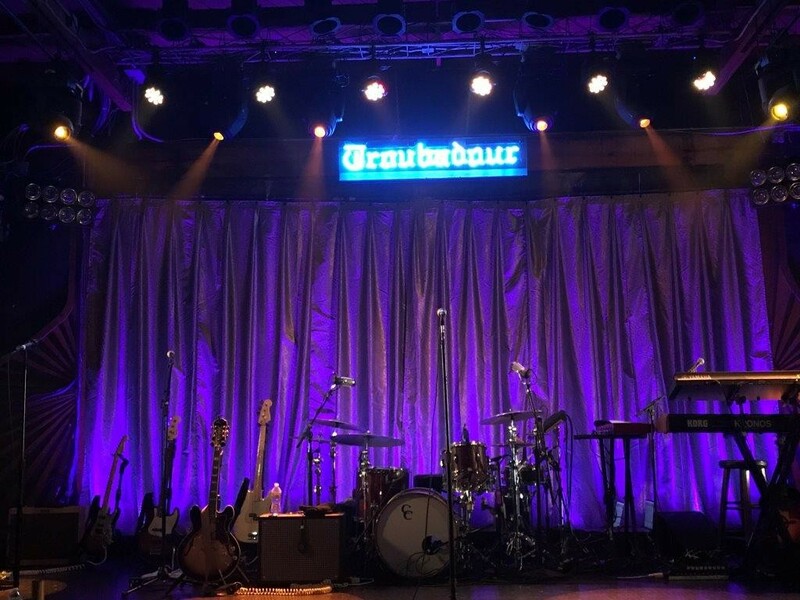 However, the challenge can sometimes be finding drapery that is versatile enough—yet still sensational—to work in these larger venues as well as smaller, cozier locales like The Troubadour here in Los Angeles, and Rough Trade Records in Brooklyn, NY. 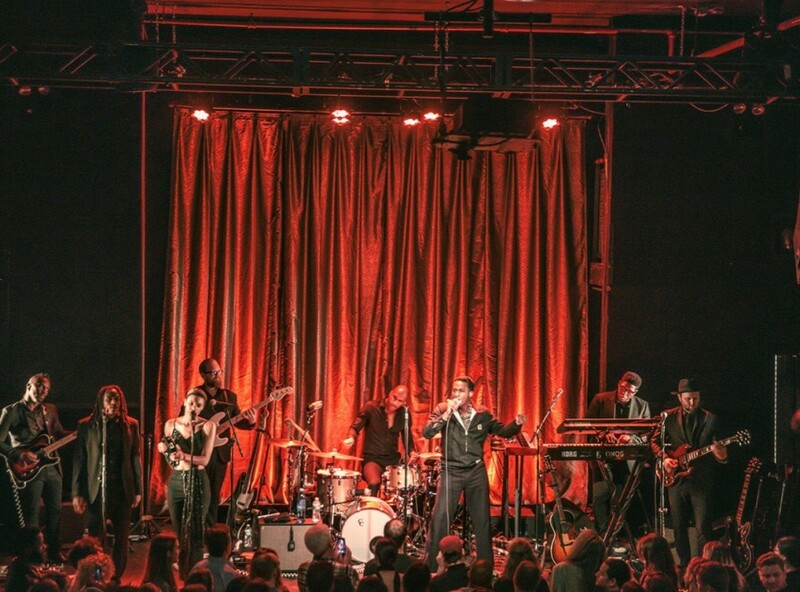 Recently we got to work with the incredibly talented Lighting and Stage Designer for the Leon Bridges Tour, Bobby Mathias, by supplying the tour with some striking rental stage drapes for a few of these intimate types of shows on his current tour. They needed something, in his words, “That would be quick and easy to deploy, but still impactful and classy. These drapes definitely covered all of those bases for us!” The drapes that Bobby was referring to are the exquisite 23’h x 10’w Black Gold Illusion Pleated Drapes from our Timeless and Traditional Drapery Collection. Drapes made from this fabric look remarkable both in a natural ambiance, as well as colorful theatrical illumination, as they bounce off lighting like an absolute dream! 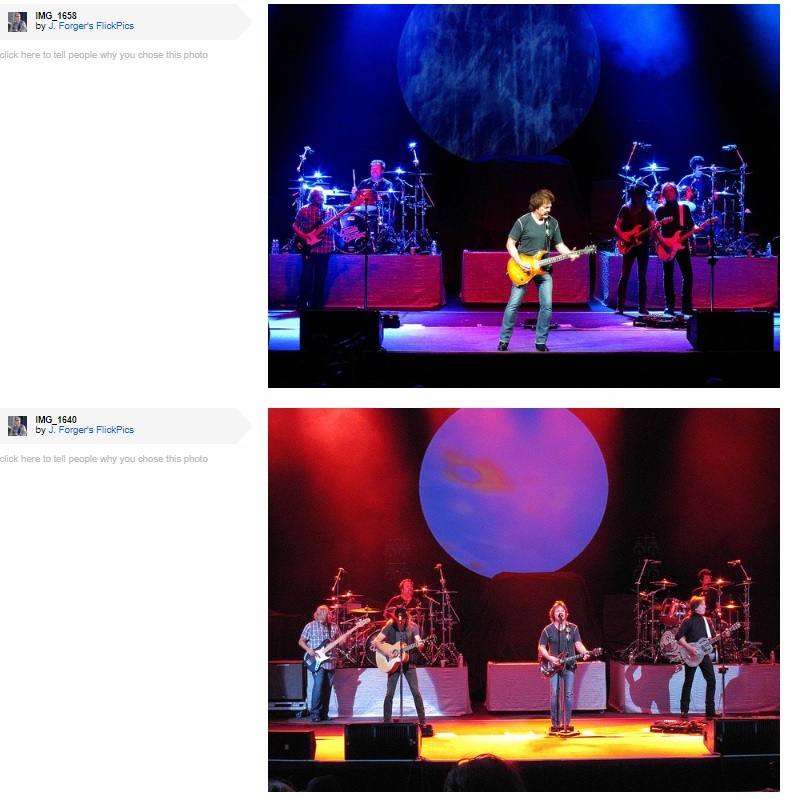 You can see in these beautiful photos how Bobby worked with the artist’s creative Tour Manager Trey Allen to give each venue its own completely unique feel, by simply adding some brilliant colors to the stage’s lighting designs. 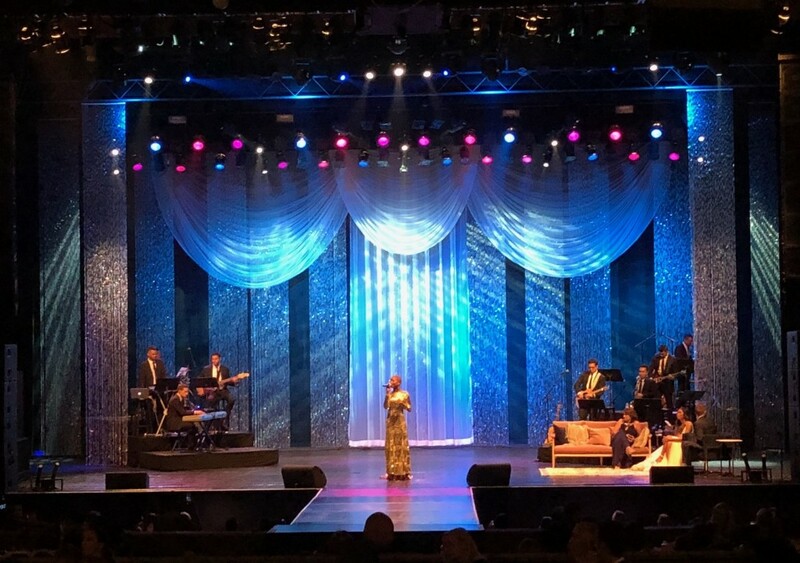 These drapes’ metallic appearance helped produce a mix of both edginess and silkiness to the shows’ overall motif, which gave these shows a truly one-of-a-kind and memorable look. And because these drapes come in 10’w “legs,” the designers were able to use as many, or as few, as they needed to best fit each venue’s own specific sized stages. 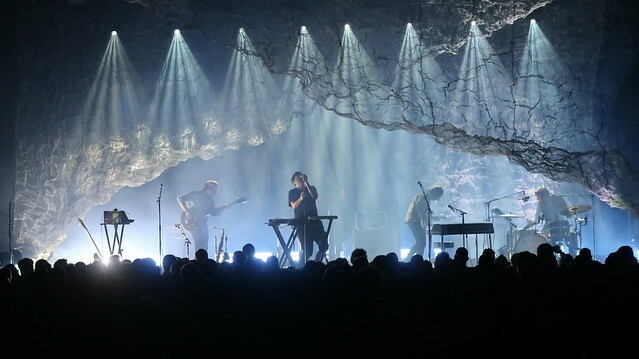 We were thrilled to be able to contribute to this extraordinary artist’s tour design, and really look forward to working with this innovative team more on future stage designs, too. Let our drapery representatives assist you with building a memorable and eye-catching theme for your special event or production with gorgeous drapes from any of our rental collections. Looking for something for an unusual stage size or configuration? We can also custom build the exact theatrical curtains you are envisioning, too. Recently we were honored to be a part of the culmination to the incredible, awe-inspiring journey of a wonderful young couple on their way to wedded matrimony, Tiffany and Caleb. Both individuals are extremely large-at-heart, and with a very important cause near and dear to them, they decided to do something a little different with their wedding. 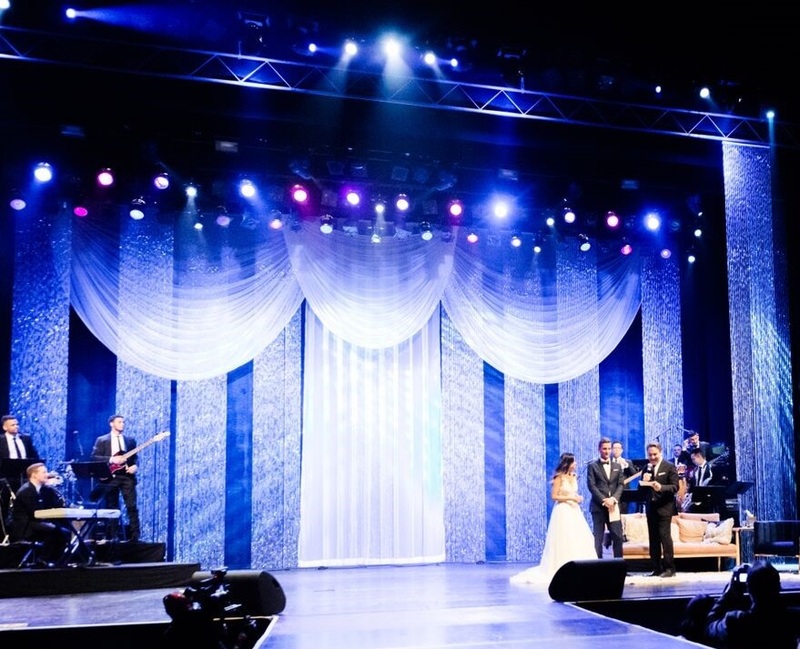 Rather than planning a “one day” event for their ceremony and reception, they wanted to put on a specially curated charity gala and benefit concert at the Wiltern Theatre here in Los Angeles instead. This couple lives with the reality of the terrible and devastating genetic disease cystic fibrosis as a daily part of their life, as Caleb has personally been valiantly fighting this shattering condition since he was one years old. Calling it The Greatest Wedding Ever Donated (G.W.E.D. ), together–with their generous fiscal sponsor The WayFarer Foundation, they hoped to utilize the sold-out local attendance, their story’s national exposure, and the overall platform of this special “big day” to encourage an open dialogue and raw/honest conversations about some very important, and sometimes difficult to discuss, prevalent social and medical issues. And in doing so, they also wanted to raise much needed money for research for their chosen non-profits for this event, including The Cystic Fibrosis Foundation and Global Genes. The talented and innovative production designer that conceived the spectacular motif for this event was Art Arellanes with Arcadio Productions. He was tasked with finding a look for their staging that would work throughout the wide variety of elements to this marvelous event. Wanting drapes that will look exquisite by themselves, and also reflect light impeccably, he chose a mix of White Voile Drapes from our Delightably White Drapery Rental Collection. 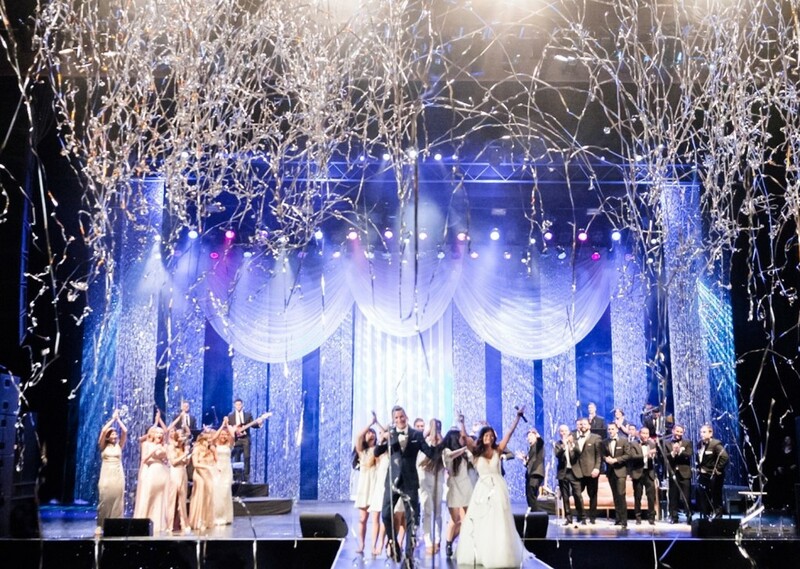 Starting with a beautiful single White Voile Pleated drapery leg to the center stage, he embellished the staging with his own tall columns of beaded crystals to give the stage an ethereal effect. And adding some of our attractive White Voile Swags (in 11’h x 16’w and 9’h x 11’w sizes), he was able to brilliantly bring the entire design together to produce an exceptionally remarkable stage. With a splash of some colorful lighting, he was able to completely change the look and feel of each individual section of the event (from the moving ceremony, to the exciting silent auction, to the enchanting singing performances, to the heartfelt speeches, and the fabulous reception in between). We are extremely happy for this inspirational couple, Tiffany and Caleb, and wish them the very best of everything that life has to offer them. We know that the road ahead might be challenging for both of them, but we know that with one another—and the impressive amount of family and friends supporting them each step of the way—they will be able to address everything as it comes at them….. Together, and with the unfettered adoration that they sincerely have for one another. We love being able to support our exceptional clients like Arcadio Productions, by aiding them to choose the perfect rental draperies from our gorgeous rental collections, helping them turn their design vision into a dazzling reality. Let our team of rental drapery experts assist you with creating a stunning and memorable look for your upcoming special event, too! Sometimes you might want to design a beautifully starry sky effect for your special event, entirely in the comfort of your secure, indoor venue. For that we would recommend using one of our alluringly beautiful and captivatingly dramatic rental Classic Stardrop LED draperies. However, sometimes you might want to create an almost SOLAR SYSTEM worth of starry skies for your big event, and in that case you could use MANY of them! 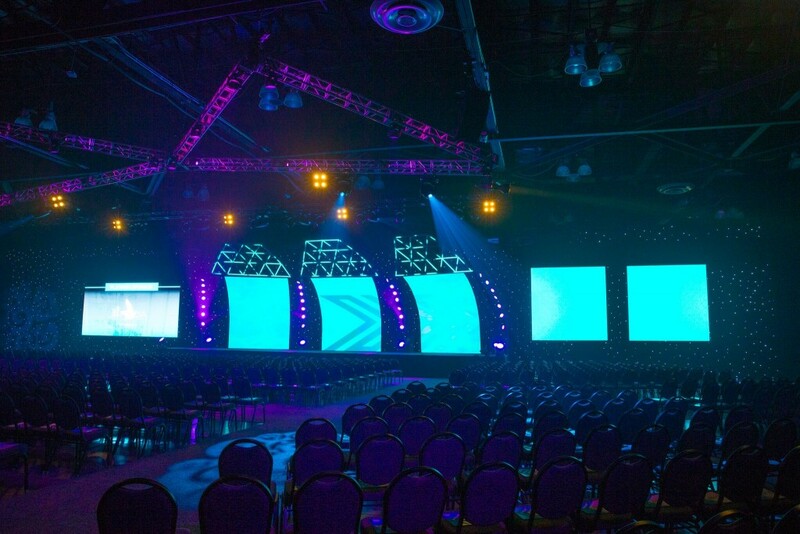 That was exactly the case when recently one of our incredibly innovative clients, Starway Productions, desired to frame the entire wall of the Ontario Convention Center with our gorgeous Classic Stardrop LED drapes. And we were beyond thrilled to help them do so! 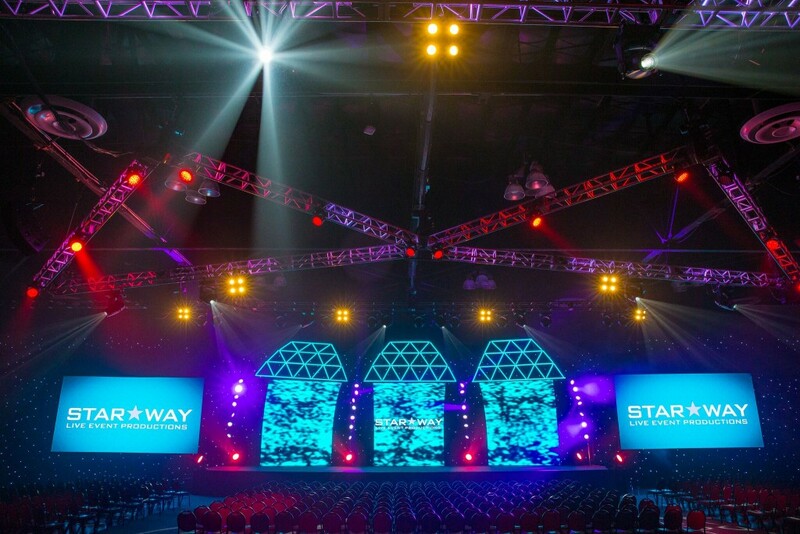 These drapes worked as the ideal backdrop at this exceptional event for all of Starway’s mesmerizing colorful lighting and gobos, a fantastically cool stage layout, engaging video and photos projecting onto large movie screens, and eye-catching truss structures throughout the arena. These drapes can tie directly to one another, allowing them to seamlessly be joined together to construct a magnificent continuous star field–no matter the width. And because these drapes have the innovative quality of being able to hang horizontally or vertically, they are outstanding at fitting the unique dimensions of most stages by rotating to hang at either 15’h or 30’h. 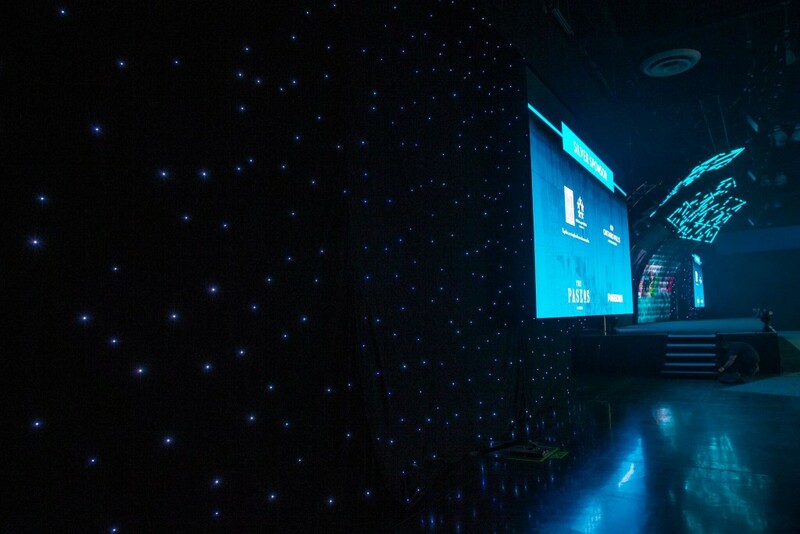 When you are wishing to create a spectacular “starry sky” effect for your meeting, trade show, production, or concert tour, let our fabulous rental Classic Stardrop LED drapes to give you this astonishing appearance time and time again. 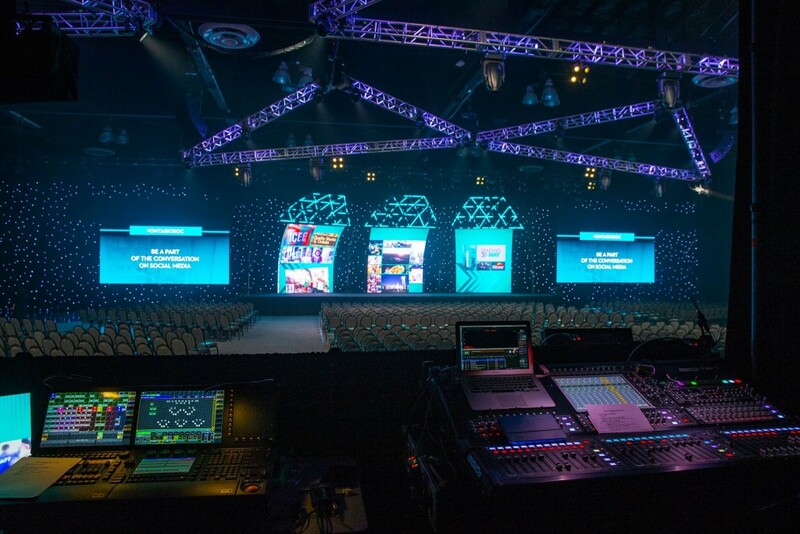 Also available in Chameleon RGB color-changing drapes, as well as low-tech White Voile pleated drapes, our rental collection has something for almost every kind of stage décor you are envisioning. We can also build you a custom-designed LED drape for purchase when you have an exclusive design that you aspire to fashion. Reach out to our team of drapery experts so that we can help you figure out the best way to create this spellbinding look for your own special event, too. 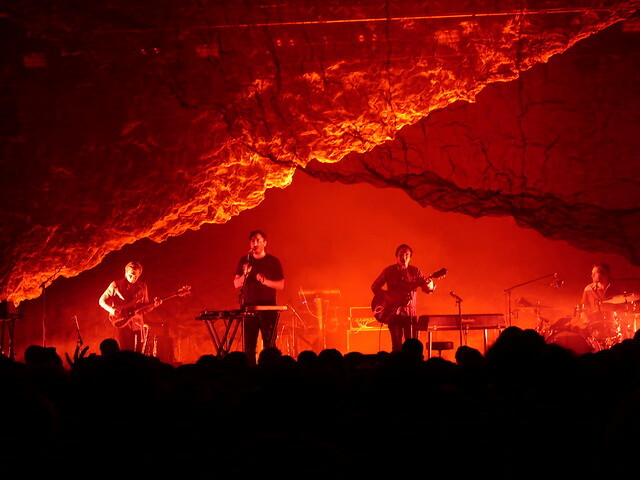 Are you interested in adding some cool shapes and silhouettes to your stage design, but aren’t exactly sure how to go about doing it? Want us to alleviate some of the guess work for deciding on selected aspects of your stage elements, so that you can focus your energy on creating exciting and unique lighting and visual effects instead? Adding a custom built tension fabric shape to your stage décor can really transform your design’s overall look and feel, by simply splashing some colorful lighting into the mix. 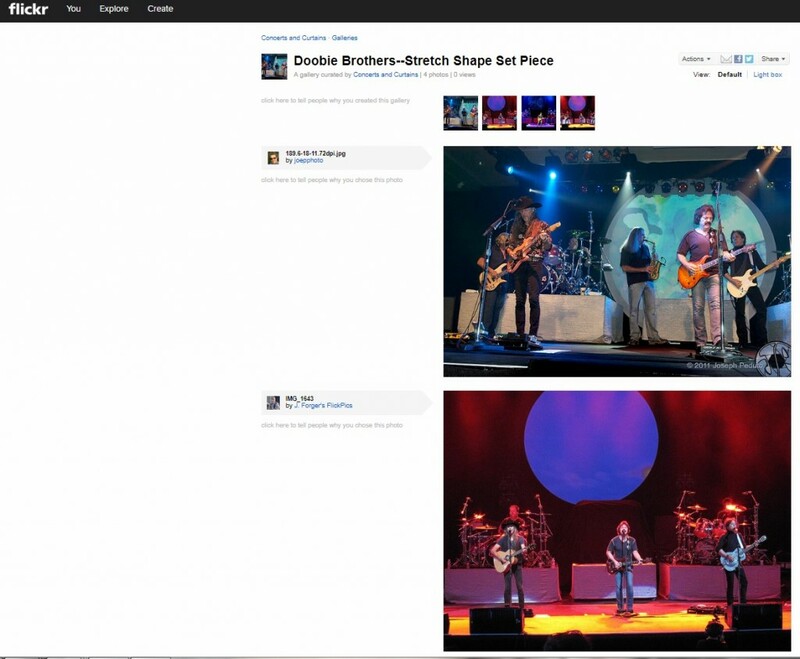 We have been incredibly honored to work with the talented production team with the internationally renowned band The Doobie Brothers for several years now, and we especially loved this effortless–yet dramatic—custom stretch piece that they asked us to build for one of the band’s many successful tours. Made out of white FR Cambio! fabric, this almost-13ft diameter circle was versatile enough to be seen on larger arena stages as well as more intimate venues alike. This remarkably lightweight and ultra-flexible material lights up like an absolute dream, which can help give your staging a new and fresh look for each segment of your show or production. The Doobie Brothers’ lighting and stage designers took wonderful advantage of this fact by artistically incorporating this custom-built stage embellishment into their tour theme with theatrical lighting in a myriad of colors and patterns. 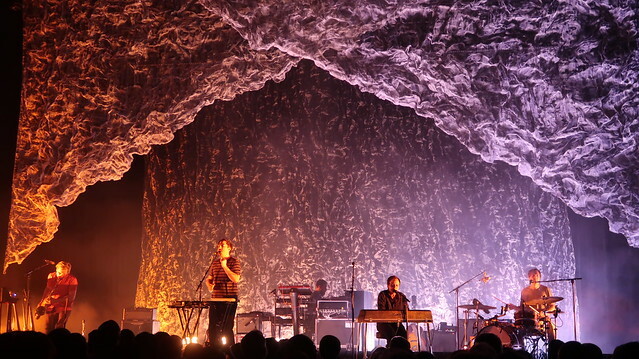 Click here to explore our new Flickr gallery to view more examples of how striking this stage piece looked behind the band. You can also choose from a wide assortment of pre-designed tension fabric shapes in sizes, styles, and prices that will fit nearly any stage and budget. 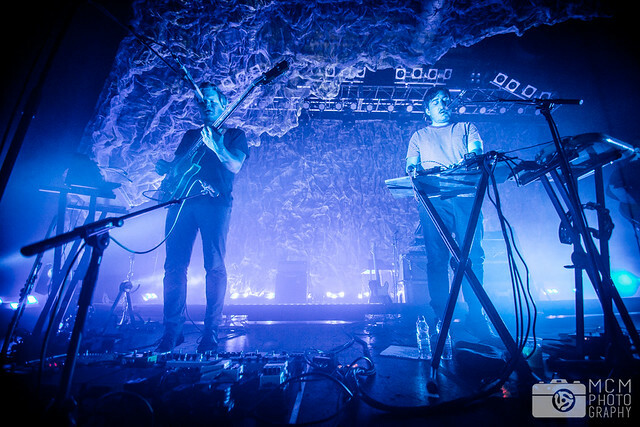 If you want to experience a truly phenomenal show, we highly recommend that you check out this band’s 2018 tour dates, as you really must see them live in concert—you will NOT be disappointed!